You must make reservations at least 5 minutes in advance of the time at The Roosevelt Bar & Diner. Function and Private Dining Rooms available. Please contact us via email for more information. Slip back in time to an era when drinking was taken seriously. Long lunches washed down with martinis, cocktail hours to finish the day and whiskies long into the evening. 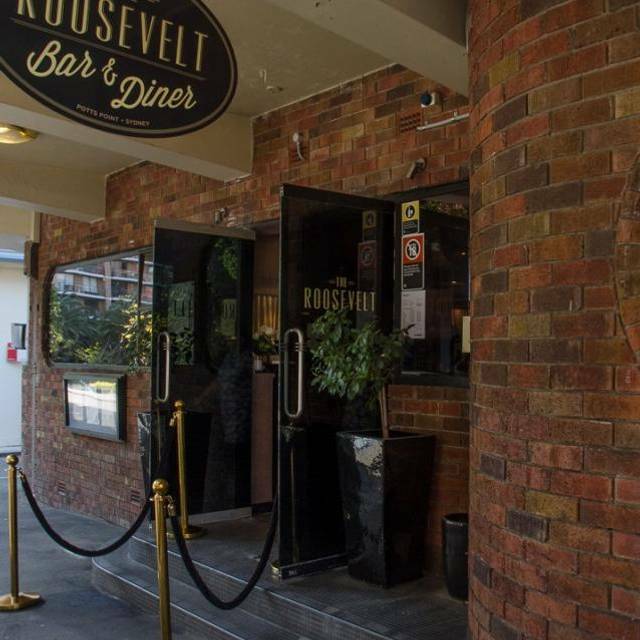 The Roosevelt calls Potts Point home but traces it’s ancestry back to New York in the 1950s, drop in for a drink or settle in and enjoy great food until late in the night. We aim to offer an excellent atmosphere, great company and amazing drinks, we hope you agree! From small group dining to large canapé functions the Roosevelt is available for all your event needs. 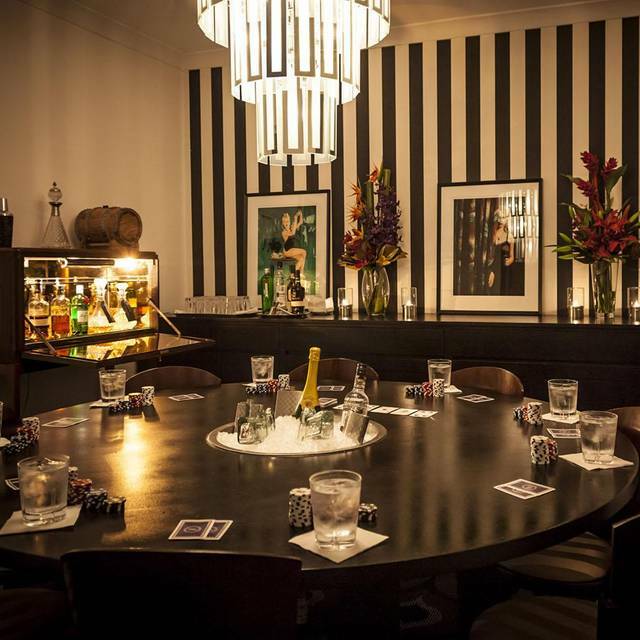 Our hidden Poker Room is perfect for intimate dining, whisky classes or poker nights for up to 12 guests, while our larger Monroe can host up to 32 for dining or 60 for standing events. Outstanding ambience with a great selection of drinks. Great venue and great service. On this occasion however, both our New York strip loins were tough and grissly. The meat arrived at the table pre-sliced. We both had slices of meat pure unedible grissle. Not good. That said, the jus, confit tomatoes and roast potatoes were all great. Absolutely old world charm .. I love this place. It perfectly captures a by-gone error, yet brings it up to date with style and substance. We have celebrated a few special occasions at the Roosevelt as well as just dropping by for a few drinks when the mood takes us. 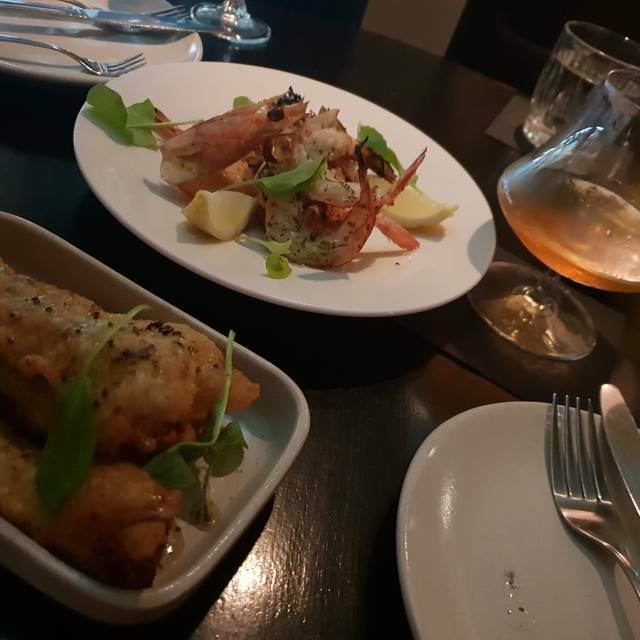 The service and quality of the food and cocktails are always excellent. Expect to pay around $20 for a cocktail, which for those who appreciate the craft and skill behind great cocktails, this is perfectly reasonable. The food is great too. $1 oysters on a Thursday is always fun. All in all this is a great bar to celebrate special occasions, or treat a special someone. Great old Hollywood bar atmosphere with low lighting and lovely decor. Great selection of drinks. Select the right one and it could be served with a bit of theatre! Love the New York bar feel of Roosevelt. The service is phenomenal and the cocktails are inspired! This was the second time I have visited the Roosevelt for pre-dinner drinks, and was again delighted by the cocktail list, ambience, and the amazingly attentive and friendly service! Will definitely need to come back to try the dinner menu, and of course, continue working through that cocktail list. I’ve only been twice. I’ve had a great experience both times. It was a going away dinner for a friend. Everyone enjoyed the venue and food and drinks. The food is delicious my type of food. The first time I went I had the banana split. Yum! As locals, we went for $15 dollar steak night and the steak was really tasty and cooked perfectly. The staff are friendly and efficient. Nice low lighting created an enjoyable ambience. Music ok.
Open Table forces me to rate Roosevelt for its food menu, but it should be noted I didn’t eat any food on my recent visit—just shared a cocktail with a friend. Great ambience on a recent Friday night and pretty good service. I like it as a place for drinks before dinner with out-of-town guests. I have been to the venue a few times now, and every time, I never leave dissapointed. Service was great despite being a busy Saturday evening. The food was amazing and always an amazing selection to drink from. ＄1 oyster is very worth and tasty. All stuff are nice and friendly and very quick. I did not need to wait for stuff for a long time. Desserts are average, I didnt think the price is reasonable for desserts. Atmosphere is pretty, they have many drinks so it is good for people who like drinking. Fantastic ambience. 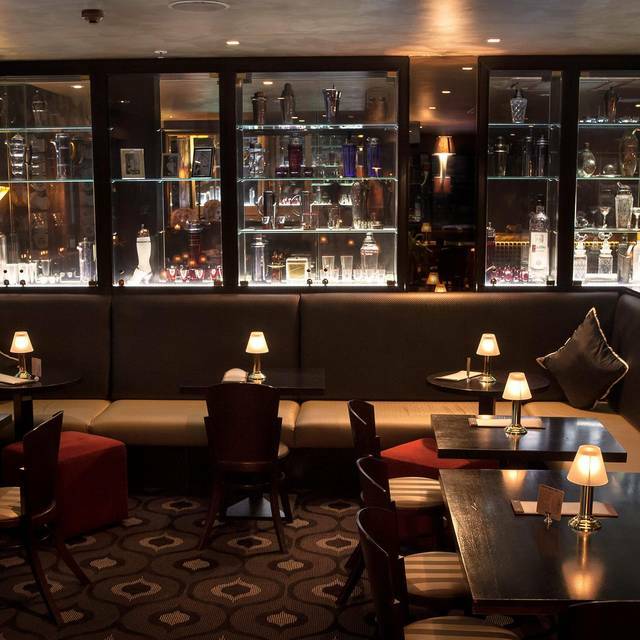 If you love darkly lit bar style venues, with warm and friendly staff, and an outstanding whisky selection, then you'll love it. Second time we have been to this venue. First time was fantastic. Saturday was terrible. Had an 8:30pm reservation. Restaurant was so crowded and the music was so loud you could hardly hear anything. The tables were so on top of each other i felt like the person next to me was actually at my table. Waited 15 mins before anyone even come over to us for a drinks order. We ended up leaving. So disappointed this time around. Cosy atmosphere, great staff and very good food (toasted almonds were amazing). Absolutely fabulous place. The cocktails were amazing and unique. Service was attentive and quick, everyone were super helpful. We were booked for dinner and some whiskey tasting. The owner of the bar despite busy Saturday night made sure he gave a us a good guide through some spirits and made his own suggestions. Great night and definitely we will be back. Charming staff. Great atmosphere good wine but very disappointed in the food. Most mains were not on. That was okay but the roast beef was served cold and chewy. Yorkshire pud was like a tennis ball. These are two things to get right. The cocktails are amazing. The martini is a must! I visited this the Roosevelt on Monday night with a group of girl friends. I love this place for its ambience and great cocktails. Food however is mediocre, my beef poivre was tasteless and the meat was tough and cooked throughout, although I had ordered "medium rare". My friend's dessert was a disappointment and she left more than half of it. I have eaten here before and remember the food being ok. Now, the food is not up to scratch and absolutely not good value at all. On a good point, our waitress was really lovely, friendly and very service minded. I recommend this place for its ambience, great art deco interiors, friendly staff and cool cocktails and wine list. For food - I would not recommend to go here. Fabulous art-deco venue with character and history. Great for a novelty value, unique cocktails, fun for different experience. Great oysters, lovely service, and a fantastic atmosphere. We had a very nice dinner from all points of view, and would go back. My girlfriends & I went fo r oyster & champagne night. Oysters ran out. Champagne was still the price of other restaurants after the discount. Pretty disappointing.